We have a growing number of members across the Rest of the World. With such a presence expanding across the world, there are a number of thriving local communities, including in New Zealand, South Africa, the Cayman Islands and Bermuda. ICAS members regularly meet up to keep in touch and for hosting networking events. Why not meet up with fellow members and help to further enhance a leading professional community. If you are in an area outwith our normal parameters, why not get in touch with one of the community chairs, who are a point of contact for all member enquiries and act as ambassadors in helping to promote the ICAS brand. 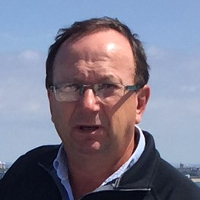 David Green (born UK) is currently the CEO of the V&A Waterfront (Cape Town, South Africa), a post he has held since 2009. During his tenure, Green has overseen increased visitor numbers, consistent commercial growth and substantial investment into the infrastructure of the V&A Waterfront, including the founding and building of Zeitz MOCAA. 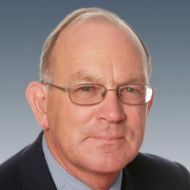 Prior to this role, Green spent a decade in private property and port development in the United Kingdom, leading major projects in Glasgow and Liverpool and overseeing the management of ports across the UK and Ireland. He has also held senior management positions in the manufacturing sector in the UK, Brazil and Costa Rica. Green is the Chair of the Two Oceans Aquarium and Director of Western Cape Development Board (WESGRO). Green holds a BA (Honours) from Heriot-Watt University (UK) and is a CA from the Institute of Chartered Accountants of Scotland (ICAS) and completed an A.M.P. at INSEAD University, France. Rankine McMillan CA TEP Accr.Dir. is the Managing Director of The London & Amsterdam Trust Company Limited (2004 – Present). 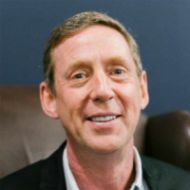 He was previously Managing Director of Ernst & Young Corporate Services (Cayman Islands) Ltd, and from 1998 to 2004 was Senior Vice President, Cayman National Trust Co. Ltd. - responsibilities included the management of the accounting, administration and operations of Cayman National Trust Co. This covered mutual funds both in house and third party administered funds, trusts, pension funds, offshore companies. Stewart joined PricewaterhouseCoopers in Bermuda in October 2004, after having received qualified as a CA working for Williamson & Dunn CA in Aberdeen. He finished third in that year's Test of Professional Expertise, receiving the Victor McDougall prize. Stewart is currently a Director at PwC Bermuda specializing in the provision of audit and advisory services to the long-term (life insurance) sector. Stewart takes a keen interest in building Bermuda as the domicile of choice for international business having previously served on the organising committees of both the Bermuda Captive Conference and the ALARYS conferences and was often seen “banging the drum” for Bermuda at the Risk & Insurance Management Society (“RIMS”) conferences. An advocate for giving back to the local community, Stewart has served on the Board of WindReach, a Bermuda charity which provides a facility and programs for individuals of all needs and abilities, since 2009 and become Chairman of the charity in 2014. Bill trained and qualified in Edinburgh with a firm which, subsequently, became part of KPMG. For around 10 years Bill specialised in computer auditing before transferring to the south west of England. Bill became a partner in 1988 and was heavily involved in the audits of insurance companies and investment funds. This experience gave rise to a request to join the financial services practice of KPMG New Zealand and he joined that firm as a partner in 2003 for a two year term! After 8 years Bill retired in September 2011. Since then Bill has been engaged in a variety of assignments. These included the appointment as acting FD for a resort on the island of Niue in the South Pacific. Bill is now a non executive director of that company as well as another involved in the dairy industry. Bill has always been interested in staff development and is a member of a team which coaches senior advisors in the development of strategic relationships through the provision of authentic interactions from which individuals can assess the impact of their behaviour. Bill is passionate about the benefits of being a member of the institute. Please visit ICAS.com for more of our related articles. If you're moving away from the UK, even for a short time, don't forget to update your details with ICAS. In particular, make sure you let us know where you are moving to, and the best email to use to keep you updated on what's going on near you. Please contact Central Registry if you want to make any changes to your record. Don't worry. Get in touch with the CA Today Team, who will get you added onto the email subscriber list.